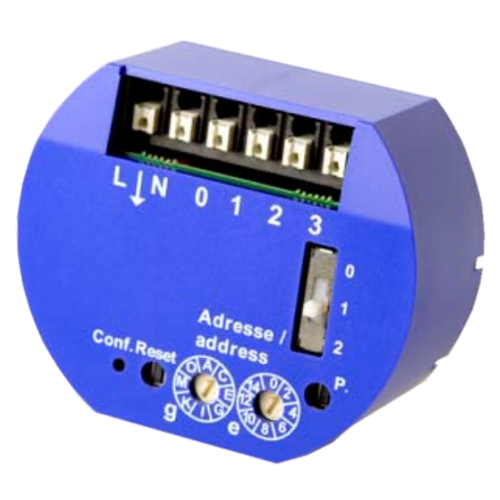 SM3 LON sensor module with 3 digital inputs (internal 5V) which can be connected to a 2-gang or 3-gang switch (Blind, Shutter: Up, Down, Stop). Centralized switching functionality (Master-On, Master-Off) can also be implemented with SM3. Intented for installation in a recessed socket.